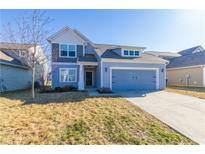 Below you can view all the homes for sale in the Meadows Of Shelborne subdivision located in Noblesville Indiana. Listings in Meadows Of Shelborne are updated daily from data we receive from the Indianapolis multiple listing service. To learn more about any of these homes or to receive custom notifications when a new property is listed for sale in Meadows Of Shelborne, give us a call at 317-427-7201. One owner ready to hand over keys to you! 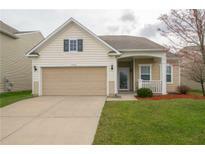 MLS#21631660. Keller Williams Indy Metro NE. Freshly painted, 3 Spacious bedrooms all with walk-in closets, 2.5 baths with huge loft area, large eat-in kitchen with center island, reverse osmosis system, updated ½ bath with barn door, newer flooring through main level, stacked stone fireplace in family room, 6” vinyl fenced rear yard, patio, pergola & firepit, custom built storage in garage, nicely landscaped and load of natural light. Close to Hamilton Town Center. MLS#21632775. CENTURY 21 Scheetz. Community pool, b-ball & tennis court, and playground! MLS#21629352. F.C. Tucker Company. Bring your green thumb as add'tl plantings will delight thruout the yr. Close to Ruoff Music Center & all Noblesville has to offer. MLS#21627910. 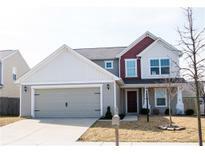 Keller Williams Indpls Metro N.
Very close to Hamilton Town Center shopping & restaurants. Close to I-69 and concerts! MLS#21623987. CENTURY 21 Scheetz. Garage has a spacious 4' additional bump. MLS#21623424. F.C. Tucker Company.